This glowing signage with blue color is visible from the distances. Also represent the logo or shape clearly. It’s looking good at noon and visible at night. It’s simple solution. 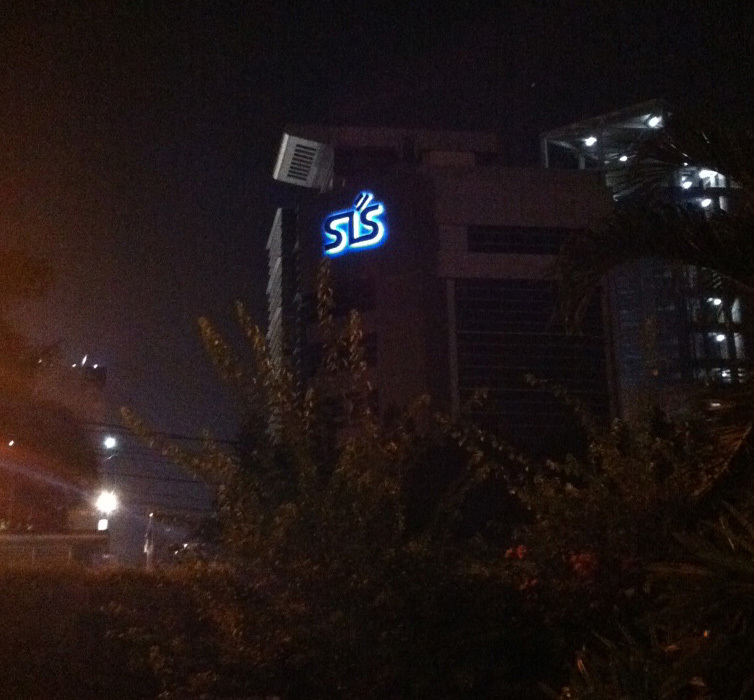 This signage located at Graha Saptaindra, at Simatupang street, nearby Cilandak Town Square (Citos), South Jakarta.